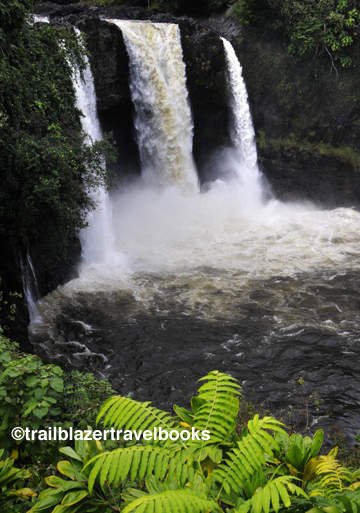 On a Hawaiian vacation, adventure seekers can go wild and get muddy and wet and return home exhausted. Luxury seekers, on the other hand, can immerse themselves in opulence and bodily pleasures and come home on a cloud of relaxation. 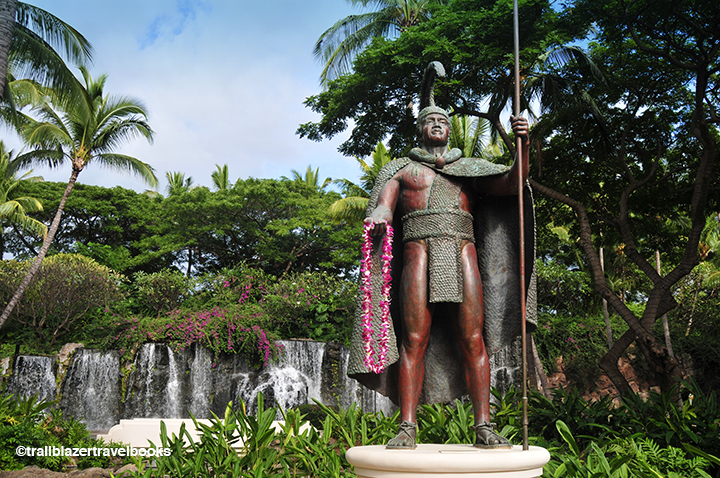 Kamehameha the Great, whose bronze likeness gazes upon the Grand Wailea Resort in Maui, had it good—but could not imagine the dream life available to all of us today. Those willing to fork out the dough on a luxury destination resort will most likely want to stay put to enjoy the mesmerizing effect. 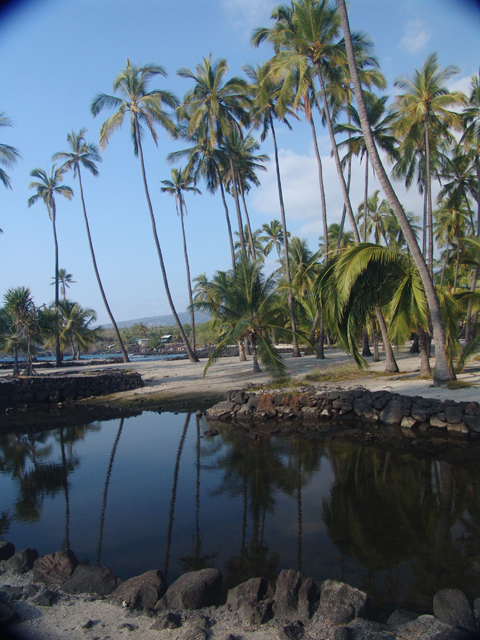 Let’s face it, getting out into the tourist buzz can disrupt inner quietude. 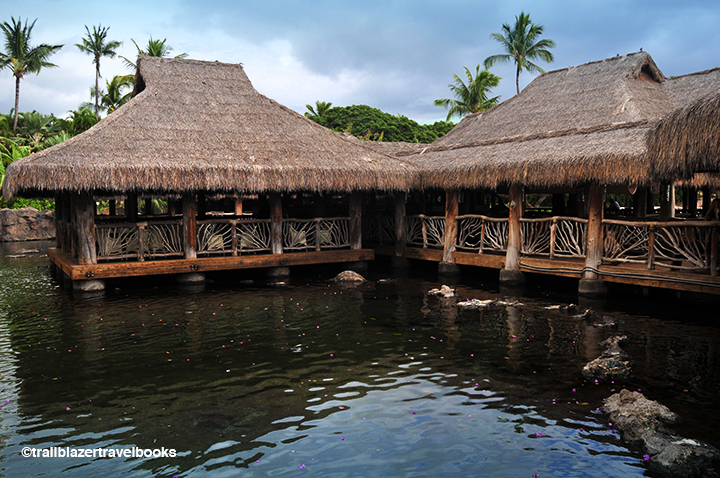 The grounds of destination resorts are islands unto themselves, like these resaurant cabanas at Kauai’s Grand Hyatt Poipu. 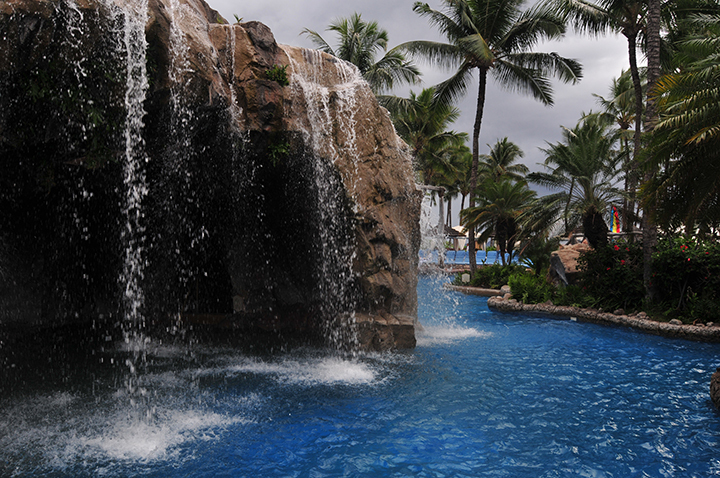 Waterfalls and swimming lagoons are just a few flip-flop steps away, not miles down a jungle trail. Need a culture fix? 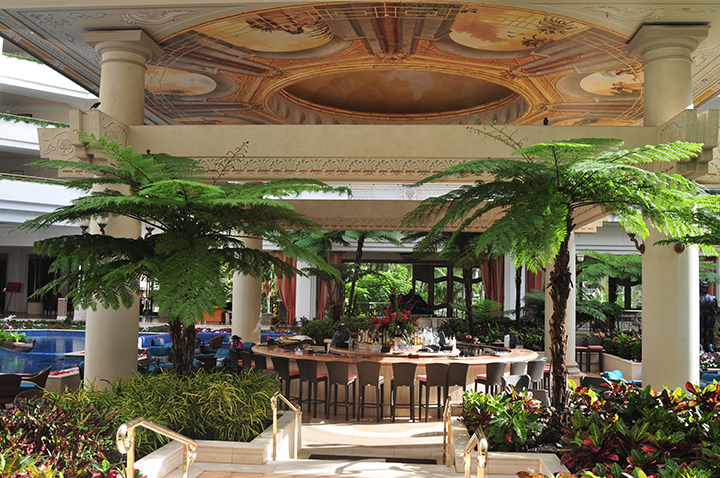 The interiors of luxury resorts contain artworks and sculptures that are museum worthy. No need to rush home for a shower to get ready for the evening. Dude, you’re already there. 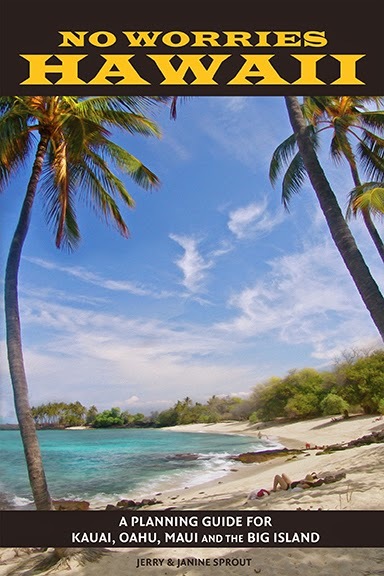 First time visitors to Hawaii will likely want to get out and do some sightseeing and adventuring. 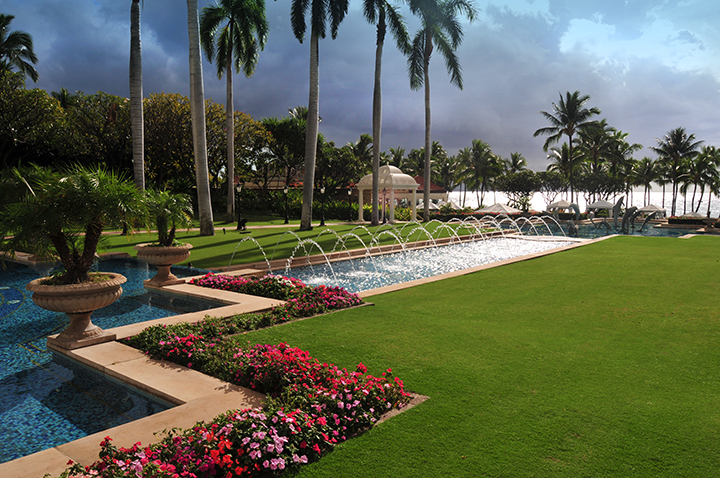 And (hot tip) you can visit all of these luxury destination resorts without actually staying there. But, dropping your bags and just kicking it for a week or so will seem like a month or so on your body and mind. 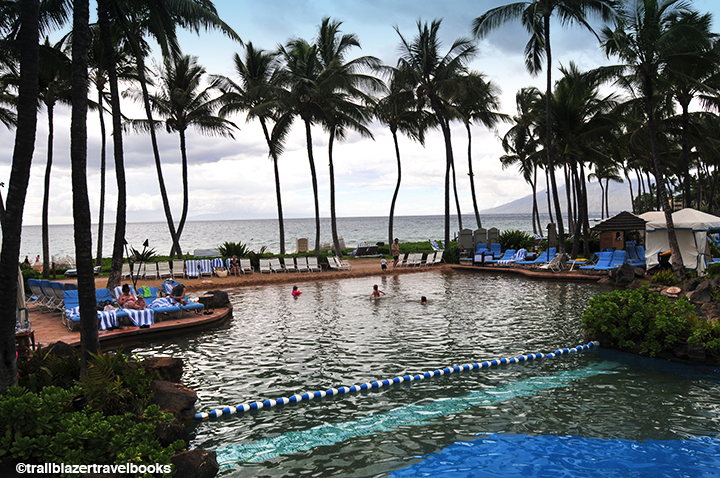 No Worries Hawaii, a vacation planning guide, has details on all of Hawaii’s destination resorts and luxury resort strips.